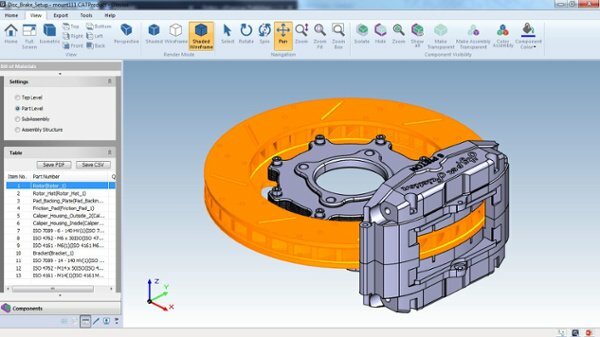 Inspect and analyze complex CAD assemblies using assembly analysis tools in Glovius. Create Bill of Materials (BoM), move components and apply color/transperancy to better understand assemblies. Departments across the organization such as Engineering, Manufacturing and Purchase use BoM. Instantly create detailed BoM and export it to PDF and CSV formats for easy consumption. Download a sample PDF Bill of Materials (BoM).